The level and intensity of stressful events that mental health professionals deal with appears to have increased dramatically in recent years. School shootings, 9/11, and Hurricane Katrina have had a significant impact not only on the victims and their families, but also on the mental health professionals who serve these populations. Many mental health practitioners present symptoms that are consistent with their client's anxiety and stress-related disorders.It comes as no surprise then that ""secondary traumatic stress"" - the stress that comes from treating survivors of traumatic events - is now officially recognized by the American Counseling Associations' Task Force on Counselor Wellness. How to keep counselors from being overwhelmed by the trauma that they are supposed to treat is becoming a core topic of professional training. 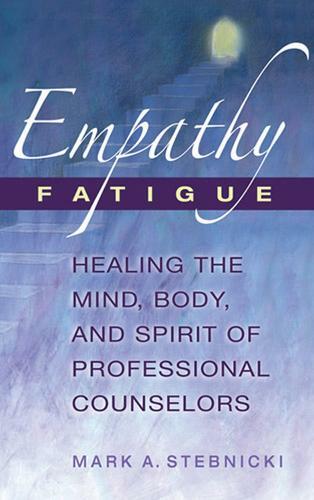 Dr. Stebnicki's book draws on five years of original research to provide a repertory of self-care strategies designed to increase personal resiliency and decrease counselor burnout and fatigue.